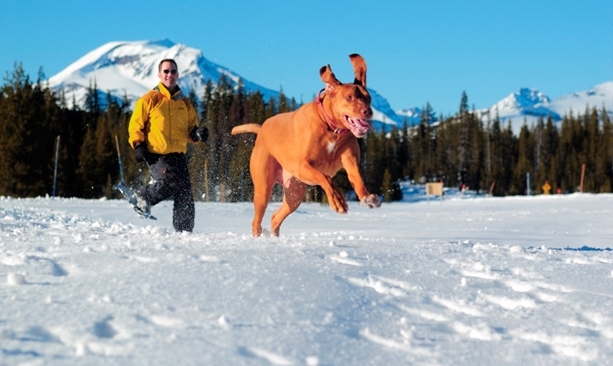 Here are some Central Oregon trail suggestions for your first snowshoeing trip. The high desert climate offers lots of sunshine and blue sky for trekking through the white stuff. Friendly ski shops in towns around the region can rent you gear to get you started. 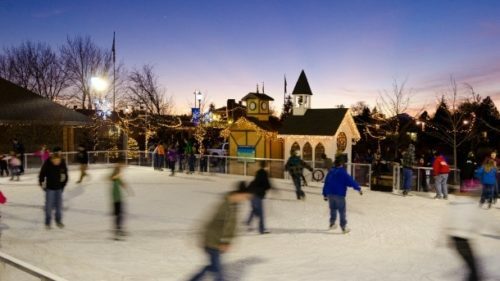 Remember to buy your Sno Park Pass, and don’t forget to stop on the way home for a pint of winter beer and a post-shoe bite to eat at one of Central Oregon’s awesome breweries. 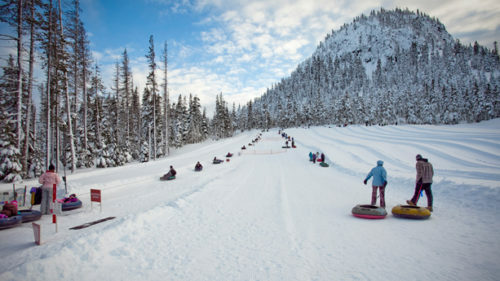 Located just 19 miles west of Bend on the Cascade Lakes Highway and four miles south on Forest Service Road 45, Edison is a popular winter spot with several scenic trail options of moderate lengths. 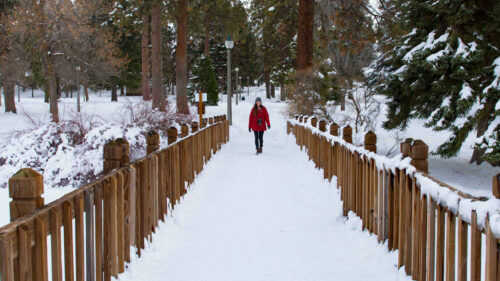 A loop trail including two warming shelters along the way offers views of Mt. Bachelor. For more information, contact the Bend-Fort Rock Ranger District Office or check out the trail map. Great vistas of Paulina Lake can be found on the trail leaving Ten Mile Sno-Park, which is 24 miles south of Bend on Highway 97 and 10 miles east on County Road 21 on the way to Newberry National Volcanic Monument. The 6.5-mile Ponderosa Rim Trail follows Paulina Creek for views of the lake and offers a gentle climb. For more information, contact the Bend-Fort Rock Ranger District Office. Located about 11 miles south of Sisters, Three Creeks Sno-Park offers access to 14 miles of trail with several loop options. A popular 11-mile route, Three Creek Lake to Snow Creek, includes 1,300 feet of climbing. For more information, contact the Sisters Ranger District Office or check out the trail map.